Today I want to take you to a hidden treasure I visited two years ago. 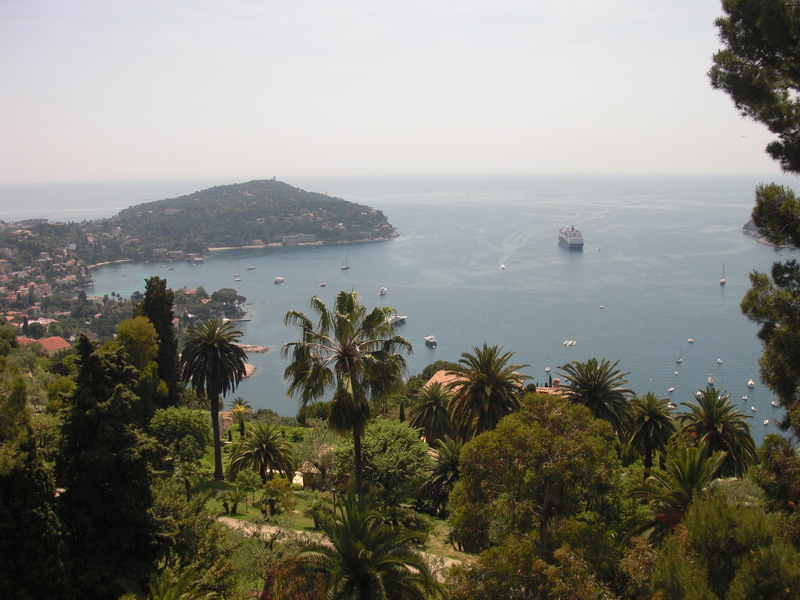 We’ll drive along the French coastline, soaking up the sun. Far off travelers relax on their swaying boats in the glistening waters. 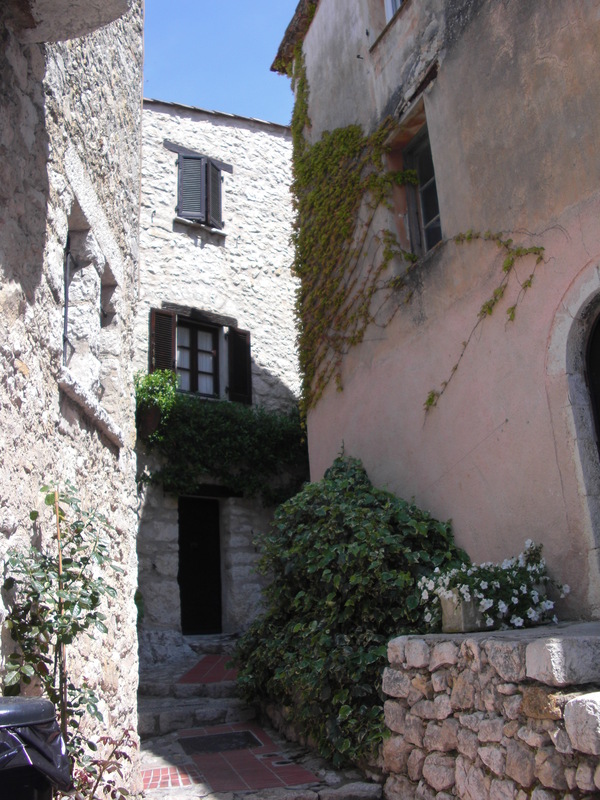 Midway between Nice and Monaco, we’ll park the car in the small medieval town of Eza. 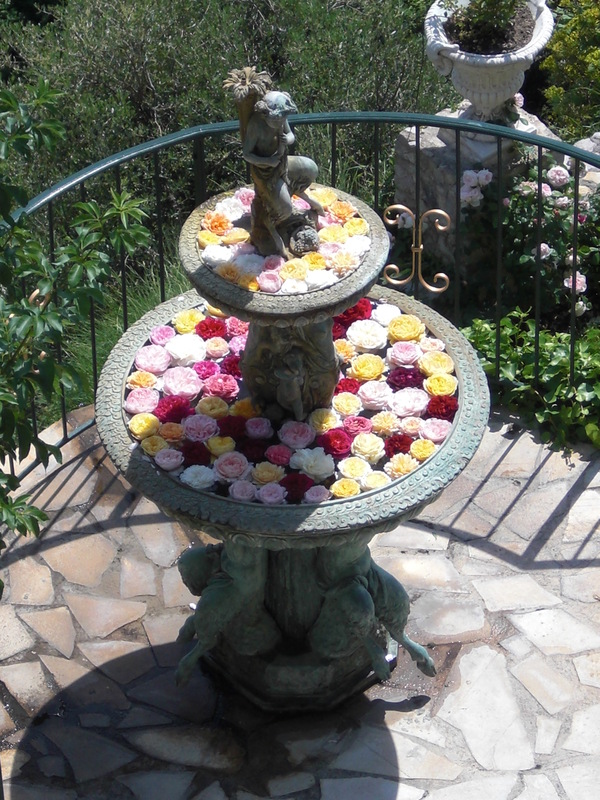 Flower filled fountains and cobblestone streets lead the way to our final destination. 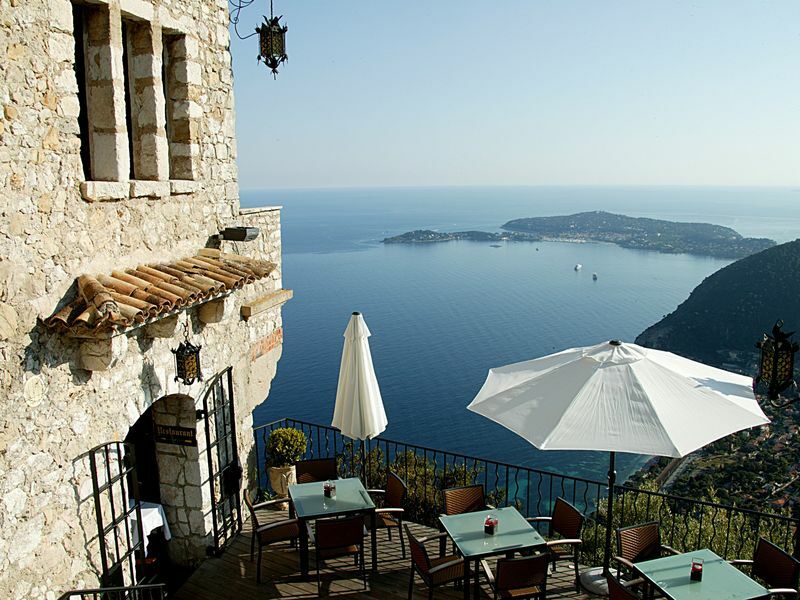 Chateau Eza is perched on the cliff overlooking the sea below. 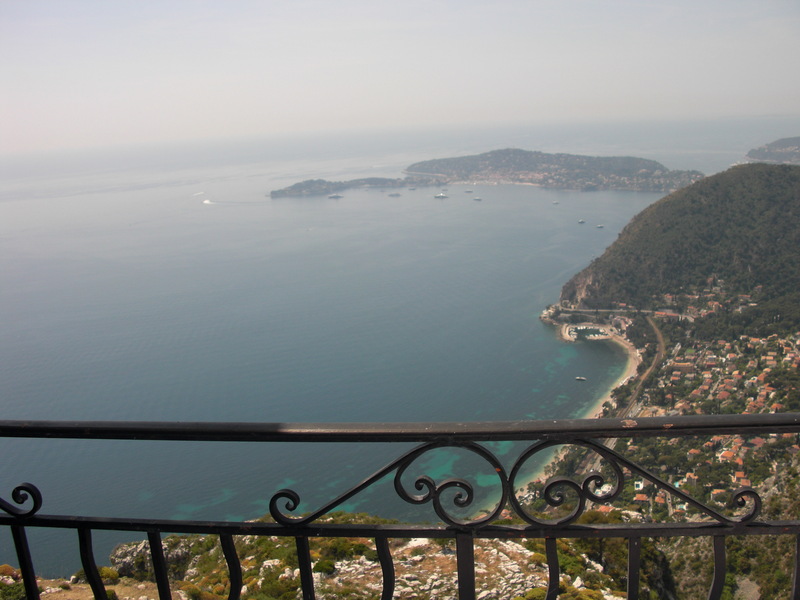 This is one of the most stunning vistas I have ever laid my eyes upon. The outdoor patios are nestled among the towering trees offering the utmost privacy. 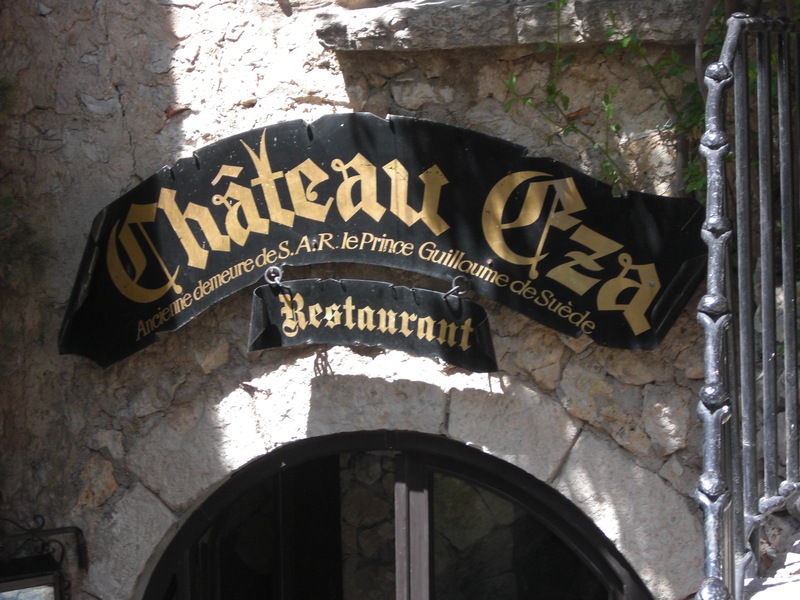 This photo is courtesy of http://www.chateaueza.com. All other images in this post are mine. 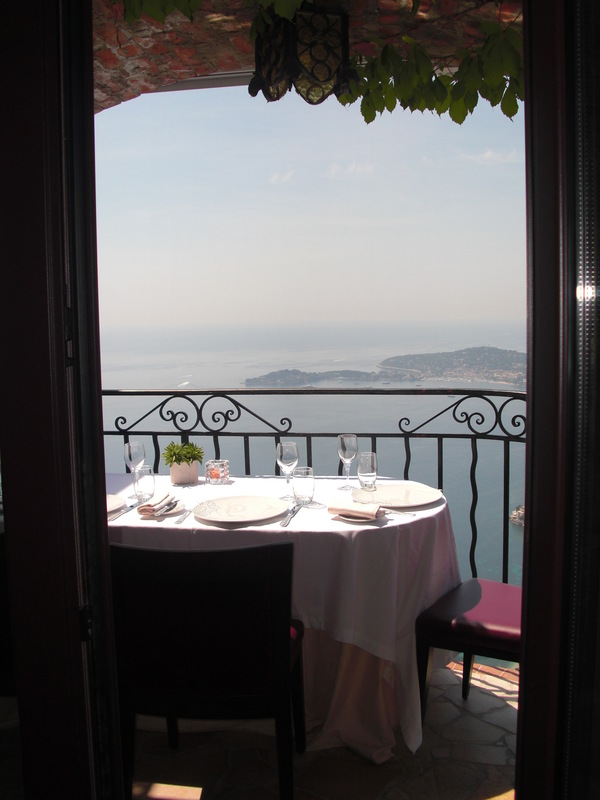 After you relax the day away, we’ll meet on the balcony for dinner and savor this magnificent view together. Enjoy yourself and let me know where you dreaming of going next Friday?